Home India news News Sanjay Raut If We Broke Babri Masjid In 17 Minutes How Long Will It Take To Make Law? 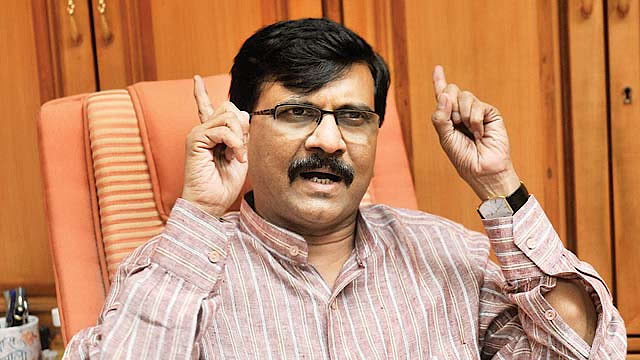 Sanjay Raut If We Broke Babri Masjid In 17 Minutes How Long Will It Take To Make Law? Sanjay Raut If We Broke Babri In 17 Minutes How Long Will It Take To Make Law? Shiv Sena MP Sanjay Raut has given a statement on the Babri Masjid demolition case. He said, 'If we broke Babri in 17 minutes then how long does it take to make the law. From Rashtrapati Bhavan to UP, BJP is the government. There are many MP in the Rajya Sabha who will stand with the Ram temple, who will oppose it, it will be difficult to roam in the country. On Friday, Shiv Sena had asked the BJP to form the Ram temple in Ayodhya and bring the ordinance and announce the date. Hitting the BJP, Shiv Sena wrote in an editorial in his mouthpiece 'Samna', "People sitting in power should be proud of Shiv Sainiks who have abolished Babar Raj in Ram janmabhoomi. Shiv Sena had said that during the election, neither he begs for votes in the name of Lord Rama and does not complain. Significantly, Shiv Sena chief Uddhav will visit Ayodhya on November 25 for the demand for construction of the Ram temple. During this time he will meet many saints and will also participate in many programs. Shiv Sena and Thackeray hope that during this period thousands of thousands of people from all over the country, from Maharashtra to Ram temple supporters will reach Ayodhya and raise support for the construction of the temple. It is also said in the editorial, 'Ramraj is no longer the rule of the Supreme Court in Ayodhya. In 1992, Shiv Sainiks of Balasaheb had destroyed Babar Raj in Ram janmabhoomi. Even then those who are sitting in power feel proud and jealous of them instead of proud of those Shiv Sainiks. Instead of accusing the Shiv Sainiks going to Ayodhya, the government should end the doubt by telling the date for the construction of the temple.